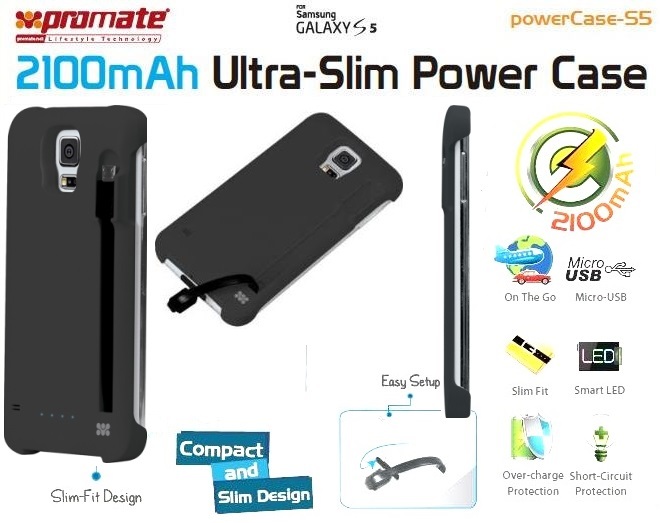 The Promate powerCase-S5 -2100mAh Ultra-Slim Power Case is an innovative gadget designed specifically for the Samsung Galaxy S5 to provide excellent protection and on the go additional power efficiency at your fingertips. A slim-fit case with an attractive cutaway back panel designed to protect your smartphone from accidental knocks and scratches whilst discreetly hiding an additional back up battery. 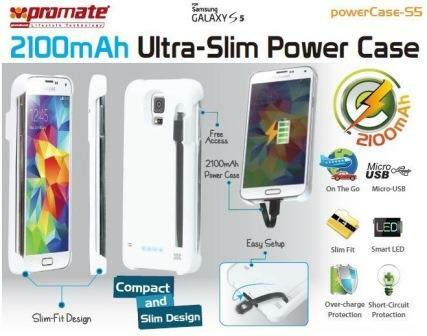 The recharging system is controlled by an easy reachable button located on the back of the case. Just push the button and you can activate the charging system in which five LEDs allow you to know in every moment of the day the right amount of energy remaining.